Grace has always wanted to share the practice of Yoga with others ever since her first yoga class many years ago. Following the discipline of Transcendental Meditation as a path to wholeness led her deeper into the yoga tradition. At the age of 19 Grace began yoga in the Sivananda yoga practice. This practice offered her deep relaxation and exploration to inner states of being. She has been doing both mindful meditation and a personal yoga practice ever since. She received her Yoga Teaching Certification from The Kripalu Center in Pottsville PA where she worked with Don Stapleton and Yogi Amrit Desai. She complimented her skills with training in yoga and massage therapy again at The Kripalu Center in Lenox, Mass. 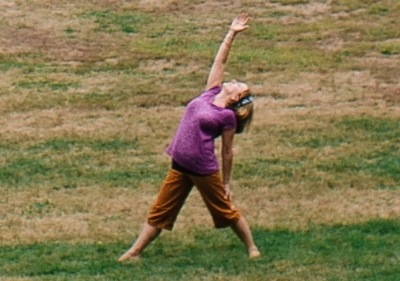 Grace is a 500 hour Kripalu Registered Yoga Teacher & Kripalu Certified Massage Therapist. She is also a Level 3 Dream Teacher from the Robert Moss School of Active Dreaming. She has studied with Tom Gillette, David Swenson, Judith Lasater for Restorative Yoga, Yoganand Michael Carroll, and Michael Lee with Full Phoenix Rising Yoga Therapy training. Grace is also a Registered Nurse, has been practicing part time for many years, which nicely compliments her yoga practice. "Most of all, it is my own practice that is my greatest teacher." Grace believes the yogic discipline enlivens our life force and brings us to a balance point in a way that is unequal to any other type of exercise. At present Grace instructs yoga classes in the local area along with a massage therapy practice in Essex. Grace and her dream-work partner, Dale Ann Litalien hold quarterly dream circles at the beautiful Mercy Center in Madison CT, other venues, yearly dream workshops in Sedona AZ., and other events such as weeknd retreats, and special Dream Circles. Grace lives in Hadlyme with her husband, 2 cats and 1 dog. One of her daughters, Meagan, is Coordinator of Student Internships and Volunteer Opportunities at the University of New England in Portland ME, and is also a yoga instructor. Claire her other daughter is in Portland OR studying Chinese Medicine and Naturopathy. Graduating in three years she also is a Reiki Practitioner. Grace enjoys most of all being with nature, hiking, reading, meditation, traveling, gardening and always learning more. OSORA, my last name at birth is Polish, and along with my Sicilian heritage, I draw great strength from the hard working ethnic and strength natures of both families. It began with my grandfather, Martin P. Osora, coming from Poland at the age of 14 all alone, it is hard for me to fathom his courage, sailing over to an unknown land to find a new life, which he did so successfully, starting and supporting a large loving family.